Knee deep in his second decade of dance, Yousef remains one of the globes most exciting talents in the realm of modern rave. His career has evolved and stayed true to the shifting sands of the game; he stood out when he arrived on the scene because of his jaw-dropping technical savvy and as the years have progressed he’s added the multi-faceted strings of club promoter, label owner, and deftly talented producer to his bow. Circus club events, which Yousef remains the figurehead behind, celebrated a decade of activity with residencies in London and New York alongside its spiritual home of Liverpool. The clubnight continues to dominate UK clubbing with its stunning ensembles of talent month after month, always managing to strike a balance between the established and the soon to be huge. Whether going solo or doing parties with Planet E, Cocoon or BBC Radio One for the historic 500th Essential Mix, they’ve delivered nigh on every major act of the past decade. Sven Vath, Carl Cox, Ritchie Hawtin, Loco Dice, Luciano, Ricardo Vilalobos, Laurent Garnier (DJ & Live), Carl Craig and Adam Beyer among them, whilst they can lay claim to being among the very first to champion the likes of Seth Troxler, Maya Jane Coles and Jamie Jones. Yousef’s beats have nestled on high pedigree imprints such as Cocoon, Intec, Cecille, Saved and Monique Musique, whilst his own Circus Recordings boasts an output ranging from seasoned veterans like DJ Sneak and Sven Vath as well as rising stars such as Tom Flynn, Doomwork and Acid Mondays, rapidly becoming a go to label for many of the world’s quality underground music. The label will soon release ‘Circus X’, a compilation mixed by Yousef composed of 10 brand new tracks from the friends of Circus events from the last ten years. Each one an exclusive new cut of sure-fire electronic brilliance; the mix album features Carl Cox, Davide Squillace, Guti, DJ Sneak, Kerri Chandler, The Martinez Brothers, Yousef and more. It serves as a musical token of thanks to Yousef for the support he has showed each artist since Circus opened in 2002. Also released via the label in Autumn 2012, Yousef’s forthcoming 2nd full studio album “A Product of Your Environment” represents an aural snapshot of his journey to date. It’s Yousef distilling the emotions, experiences and excitement that have been a part of his career so far, representative not only of his artistic growth but also what he has undertaken as a man. Beyond the obvious dancefloor influences there’s evidence of the humanity that can only come from travelling the globe and immersing yourself in a variety of international cultures. The result is thoroughly cosmopolitan and stimulates in and out of club, a collection of songs and compositions that are designed to inspire imagination – an opus that is already getting remarkable reviews from the worlds more refined media. Relentless Global Touring continues to accelerate for Yousef. Just in July his dj visits included, Philadelphia, New York, Ibiza, Warsaw, Hull, Barcelona, Dumfrieshire, St Petersburg, Dubrovnik, Brussels, London, Shanghai and Seoul. He’s clocked appearances at some of the world’s best clubs and festivals – Womb in Japan, El Row Spain, Warehouse Project UK, Santiago Beats Chile, Dedge Brasil, Fabrik Madrid, Warung Beach Brasil are among the many. Ultra Music continues to take electronic music festivals to a whole new dimension and their support for Yousef has seen appearances at their events in Miami, Sao Paulo, Warsaw and Seoul. An unprecedented five-week tour of Asia, Australia and New Zealand was a highlight of the latter stages of last year, maintaining his deity status of that part of the world. And of course he enjoys a similar reverence at dance music’s centre piece, Ibiza. 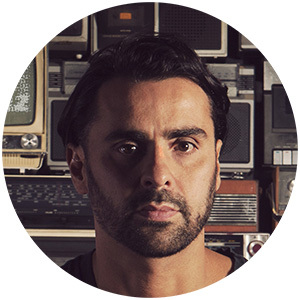 Ever since he first travelled there as a starry eyed dance music fanatic in the late nineties Yousef has had a very special relationship with the white isle, having lived there intermittently during that time and performed there consistently since 1998. He still enjoys a gloriously fruitful residency with Carl Cox and his and Ibiza’s number 1 club event ‘Revolution’ parties on Tuesdays at Space, with further appearances at DC-10’s Circo Loco event throughout the summer. 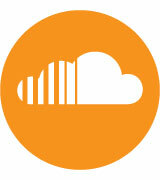 Yousef’s weekly 21st Century House Music Radio, now heading into its fourth month, continues to turn heads. Now weekly in France, Italy, Spain, Bulgaria, India, Holland, Egypt, USA, UK, Australia and more, it has been designed as a platform to support all that is quality in modern electronic music. Uncovering fresh new artists, showcasing deep cuts that don’t make the clubs and taking through the gears of house music in its different facets; the show reflects what Yousef does best, which of course is wrecking the globes best dance floors. Yousef’s style remains perfectly representative of the dance floor dexterity needed in the modern clubspace. Bringing the seductive groove and swing of classic house just as readily as the energy of techno, Yousef does this by maintaining the vibe of authentic DJ, over 3 decks and without a computer in sight. Whether delivering hedonistic immediacy or crafting extended sets riddled with subtlety, Yousef is both technically and musically peerless in his field, one of the globe’s finest exponents of a four-four beat. Yousef is there to educate as well as entertain. There are few who balance musical maturity with an exciting creative edge, and it’s the experience informed from his illustrious past combining with the forward thinking surge to the future that makes his musical maneuvers so irresistibly potent. The man remains an unstoppable juggernaut of electronica. Il nuovo decennio vede Yousef consolidando il suo status di Dj internazionale, produttore, promotore di club e appassionato di musica con un impatto sempre maggiore. 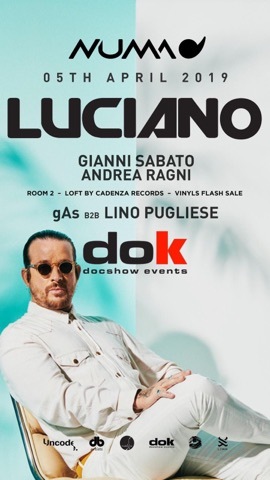 Esecuzione di uno dei clubnights più importanti d’Europa convive con equipaggio una casa discografica con lo stesso nome, mentre la sua fama di Dj cresce sempre di più e un calendario globale in continua intensificazione. Le sue produzioni continuano a lasciare un’impronta indelebile nel mondo del secondo album degli artisti ‘Indigo Child’, il susseguirsi al 2009 di impressionante raccolta LP’A di cicatrici e situazioni, è previsto dopo il 2011. Una collezione estremamente espansiva molto simile al suo predecessore, che segna il ritorno al Circo Recordings dopo Yousef ha preso un anno sabbatico per il funzionamento esclusivamente con un gruppo di etichette discografiche tra cui Saved, Cocoon, Harthouse, e Monique Musique. Il ritorno sarà lanciato con l’uscita di un EP di 8 tracce dal titolo ‘Yousef Circo Reworks’. L’obiettivo è semplice; trasformazioni delle produzioni severali con Circo Dancefloor specifico in mente, Jamie T, Fourtet, Glies Peterson, Moby e Sven Vath tra i produttori che contribuiscono materiale per Yousef di ri-giga al fianco la sua impareggiabile ‘Come Home’. Ogni traccia rappresenta un certo momento della notte o di un determinato locale; dipingere una proiezione musicale personale di ciò, Circo significa per Yousef un’istantanea ideologica del dna musicale dei clubnights. L’evento in questione è il migliore. Giunto alla sua nona edizione, diventa la migliore notte a Liverpool una delle serate più parlate e rispettate del continente, il tutto contornato da un impianto massiccio. La natura di alto profilo ha visto spettacoli con Planet e , Bedrock, Meganite e istituzione tecno Teutonic e Cocoon, per non parlare di una collezione per l’essential 500 mix. Loco Dice, Pete Tong Carl COx, Richie Hawtin, Sven Vath, Ricardo VIllalobos, Laurent Garnier, Luciano, Carl Craig, Adam Beyer, John Digweed, Davide Squillace, Raresh, Dennis Ferrer, Heidi, Nic Fanciulli, Tim Green e altri innumerevoli hanno suonato per Yousef in questi party nell’ultimo anno. Molti di più sono inclinati per spettacoli futuri nel 2011 e oltre, mentre si avvicinano senza precedenti 10 anni di affollati rave. E Yousef continua ad avere altri motivi per fare il dj. Il 2011 vedrà il suo secondo anno come uno dei resident di Carl Cox presenti… allo Space, forse la più bella festa di fama internazionale nella discoteca della stagione. Un recente tour del Sud America ha visto un consolidamento del suo status essere uno dei dj più importanti del continente (un debutto al Warning Beach una luce particolare),e rimane un pareggio enorme dalle spiagge baciate dal sole di Melbourne e Miami ai bassifondi di Manchester e Monaco di Baviera. Una cosa è certa; Yousef continuerà a lasciare una grande impronta personale sulla musica elettronica. Sia dietro le quinte che dietro la consolle dei migliori club del mondo mentre la sua creazione di colonne sonore musicali che continueranno a pulsare nelle orecchie dei loro clubber. E’ l’unico modo che conosce.